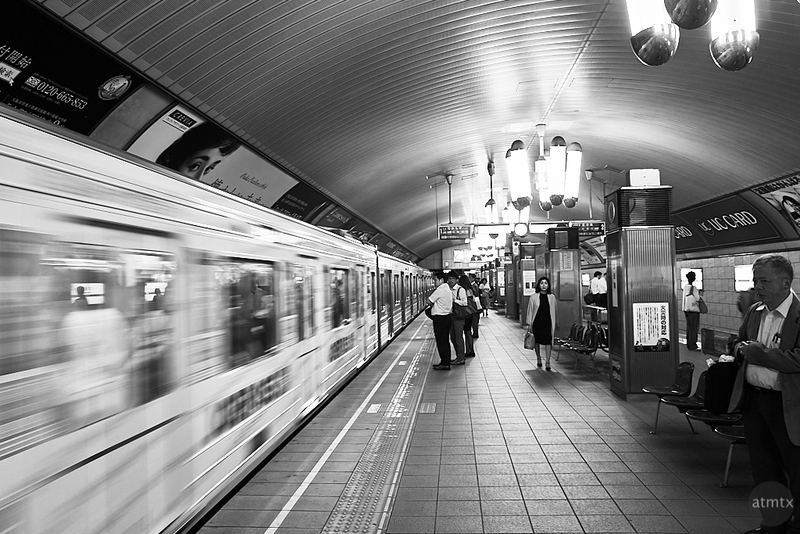 From my blog coverage of Japan, you might rightly concluded that I have a thing for trains. It doesn’t have to be the super fast Shinkansen. The everyday commuters are great too. 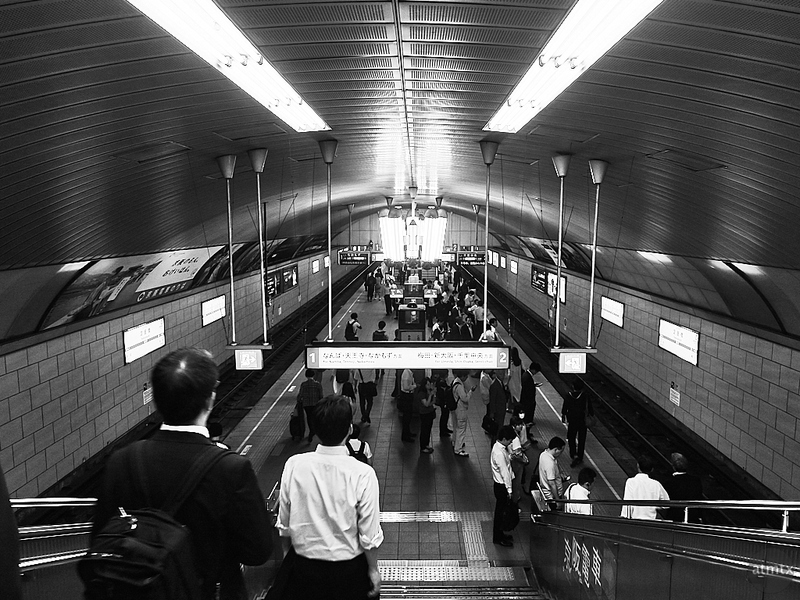 It’s hard not to fall in love with the efficiency of Japan’s systems. After an extended series of historic Shrines and Temples, I figure it’s time to switch gears to modern Japan. 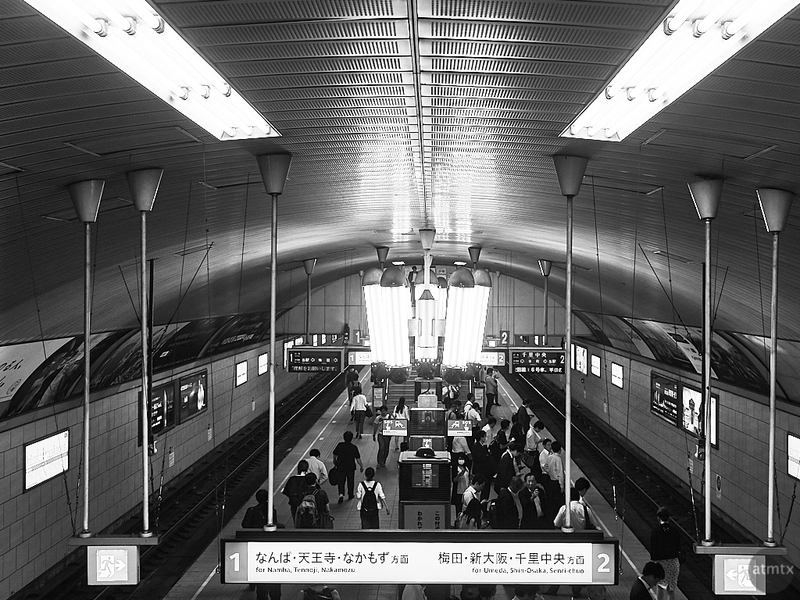 This is the Yodoyabashi subway station in Osaka. Though it doesn’t look quite as dramatic as this one, in Yokohama, it does have one feature that I find endearing. The flourescent chandelier. Here’s one a little closer up. Notice the glowing set of artfully arranged tubes in the center? I find this such a functional yet strangely artistic way to light. In the center of the station there is a number of them in a row. I didn’t expose this Ricoh GR photo to show the chandelier details, but you clearly see their glow down the line. I was pleasantly surprised with the exposures I got on the first two photos, with the Olympus. Understandably, the super bright lights were hard to expose. This is not just a photographic exercise, however. I really do like these architectural touches. Yes, I’m kind of strange and I’m sure most won’t even notice these. I blame my curiosity on a confluence of photographic observation and being an architectural nerd.